Marion- Betty Jean (Weber) May 89, Passed from this earth on August 11, 2018. She was born on a farm in rural Marion County on October 12, 1928, to George J. and Leah (Vogel) Weber. She was the youngest of 5 children. 2 sisters Alvina and Mae died at birth. Betty was a former Director of Nursing for Marion Manor and Peabody Nursing Home. She attended Dobbs one room school house for 8 years walking 2 miles to school each day. She graduated from Marion High School. In 1946 she married Francis Leroy May on May 4th in Lyons, Kansas. They celebrated 55 years of marriage. To this union, they had 4 children, Stanley, Steven, Gregory, and Jeanne. 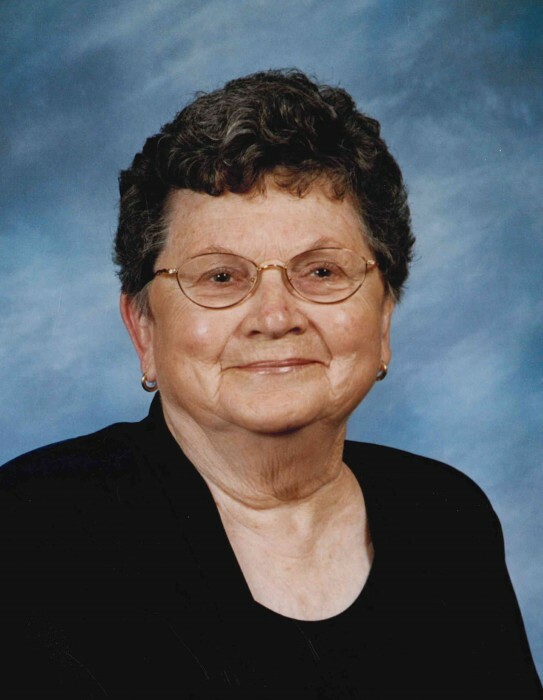 Betty was a member of the Marion Christian Church for 56 years. After raising her 4 children she pursued her lifelong dream to attend Hesston College Nursing School and graduated in 1984 receiving her RN license at the age of 56. She retired at the age of 72 to care for her ailing husband until his death in 2001. Prior to her nursing profession, she worked for Dr. Eugene Vinduska in Marion for many years, Alco Discount Store in Newton, and JC Penny’s in Newton. Another dream Betty and Francis had was to build a house on Main Street in Marion, many hours of enjoyment were spent visiting with family, friends, and neighbors on the front porch and watching traffic drive by. Betty was Preceded in death by her parents; George and Leah, brother; Vernon, and sister; Violet, husband; Francis, and son; Stanley. Survivors include Daughter-in-law; Donna May of Marion, Kansas, Son; Steven and wife Missy of Marion, Kansas, Son; Gregory and wife Melinda of Leon, Kansas, Daughter; Jeanne and husband Brant Bergren of Newton, Kansas, 12 grandchildren and 16 great-grandchildren.